The Posh Club is a weekly glamorous performance and social club for older people held in six locations across London and the South East. Each three-and-a-half hour event is styled as a tongue-in-cheek ‘posh’ 1940’s afternoon tea with three live show business turns, volunteer waiters in black tie, vintage crockery and an in-house pianist. 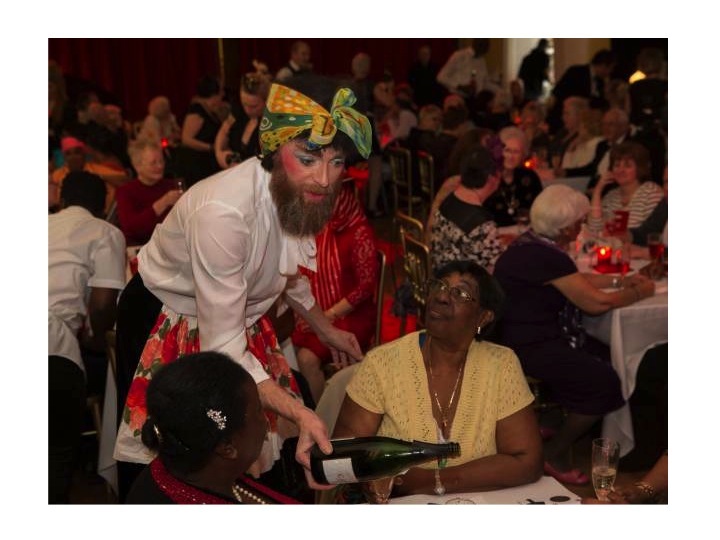 It is a glamorous event for about 100 participants a week, held in the heart of the community in elegantly transformed church halls and other grass roots spaces and emphasises dressing up, regular access to live performance, social connectivity and intergenerational volunteering.